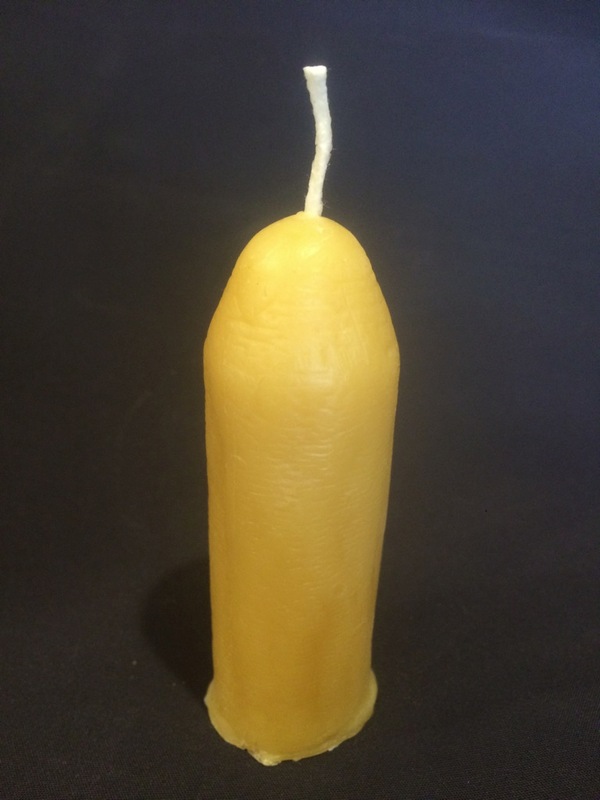 These are full size beeswax votives weighing nearly 2 ounces and is 2” tall and 1 1/2” wide. 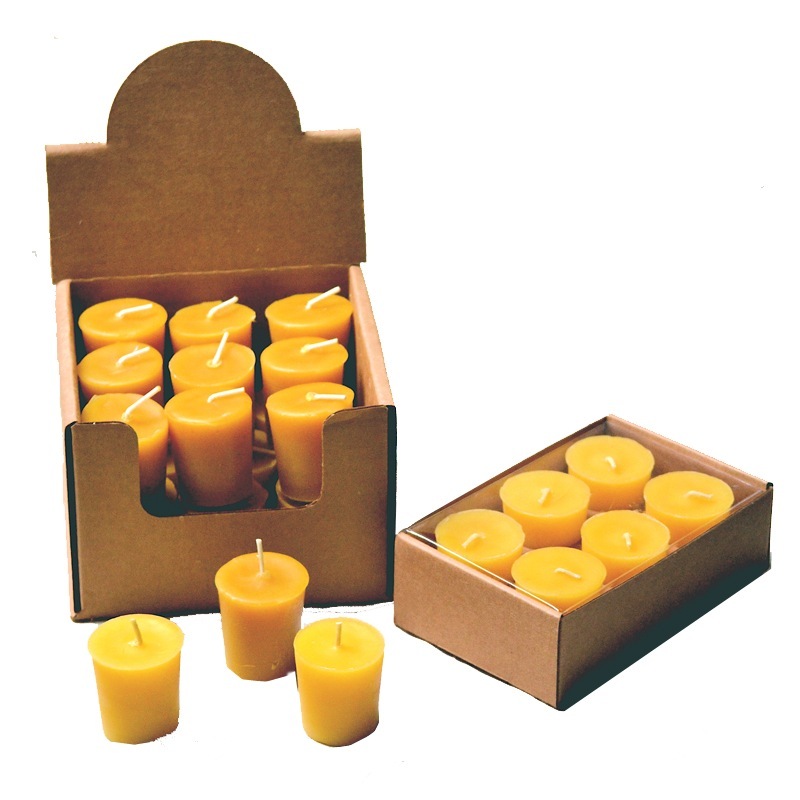 These candles will burn approximately 15 hours when used in a standard votive glass. 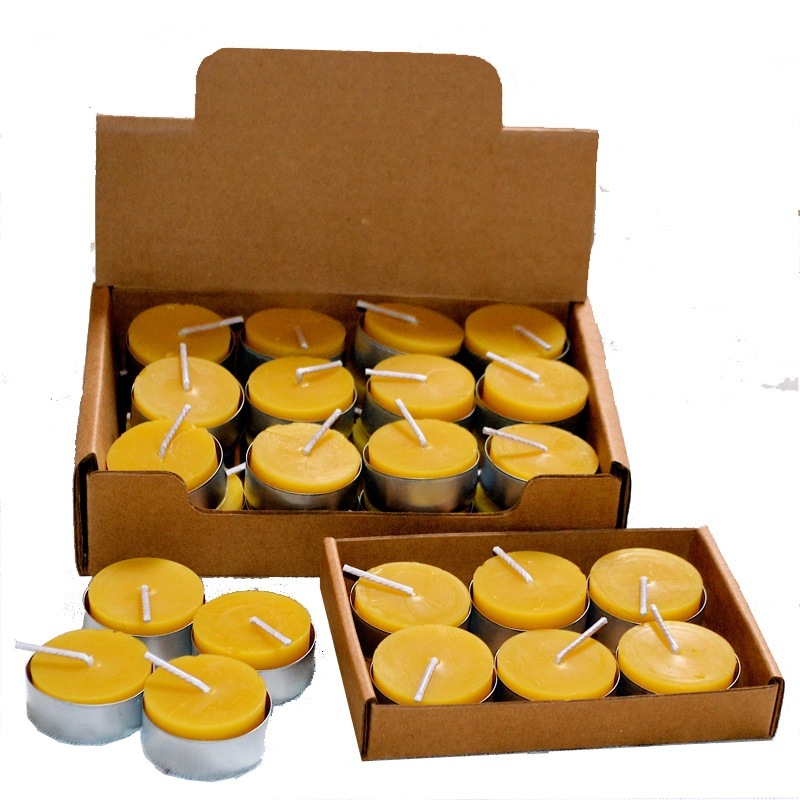 These tea light candles are made with pure beeswax and will burn approximately 6 hours. We offer aluminum cups or polycarbonate cups. 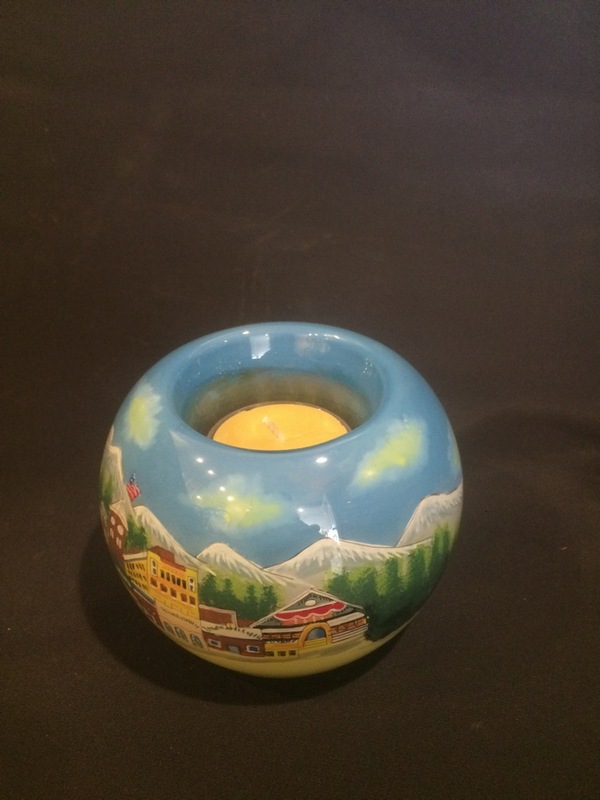 Beautiful hand-painted tea light holder featuring Route 66 in Flagstaff Arizona where our store, The Golden Hive, is located. 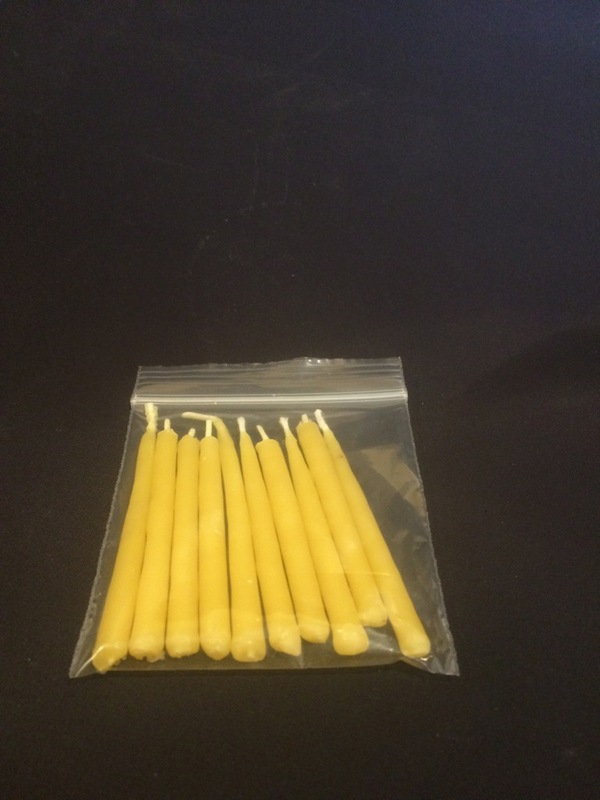 10 small birthday cake candles. Safe enough to eat. fits a candle lantern a well know camping lantern which normally comes with parafin candles.